Creating a future has its hurdles, and can be especially tricky for people facing poverty or with criminal backgrounds. A San Diego organization is making sure the future is within reach. SAN DIEGO (KGTV) - Creating a future has its hurdles, and can be especially tricky for people facing poverty or with criminal backgrounds. A San Diego organization is making sure the future is within reach. “I was on probation… I had to go to sober living to get my life right,” said Anthony Johnson. 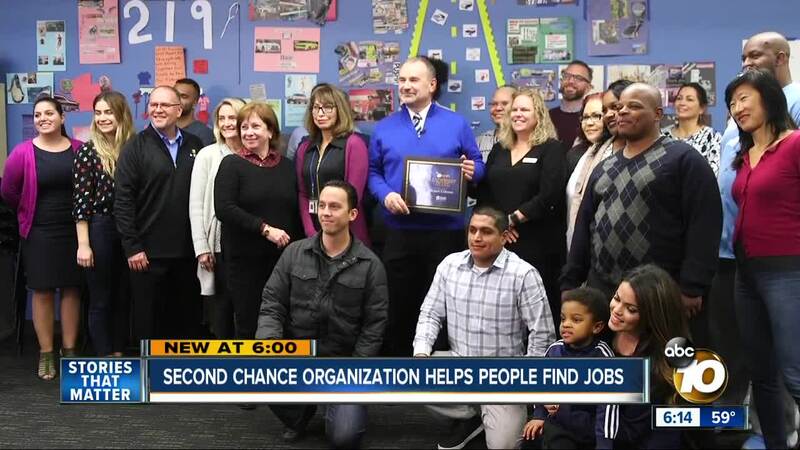 Johnson is a recent graduate of Second Chance, an organization in Encanto that helps kids and adults who have criminal backgrounds or are facing poverty get back on the right track through their programs and job training. “They changed my life," said Johnson. Covering the walls of the classrooms at Second Chance are notes illustrate the hope and want students have for a better future. “Our mission statement starts with the word disrupt. If we can break the past now, then the future has a chance to come into that person’s life,” said Robert Coleman. Coleman is the President and CEO of Second Chance and has been helping people create a future where they can provide for themselves and their families. “Isn’t it better to have people in our community who have hope and have a sense of direction and career and housing and not a journey of crime? We give them a future, and we are actually making our community a safer place,” said Coleman. Coleman’s dedication to the people in Encanto and Southeast San Diego, along with the gratitude expressed by his students and colleagues, is why we have selected Robert Coleman as our 10News Leadership Award recipient. “Everyone has hope. Whatever their past has been, the future is a really great place to be,” said Coleman.